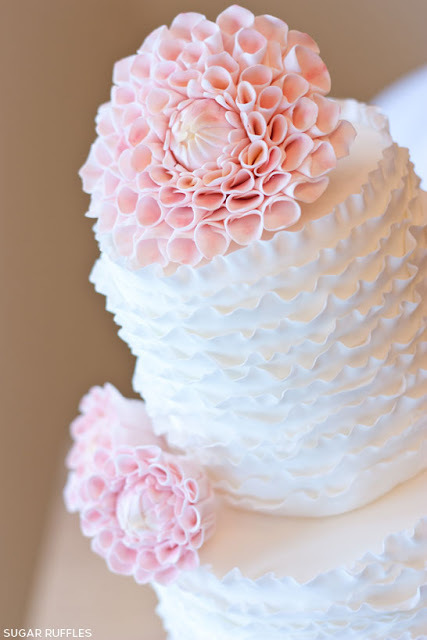 I created this ruffled wedding cake with dahlia flowers for Cake Craft and Decoration Magazines cake craft guide 'Wedding Cake & Sugar Flowers'. 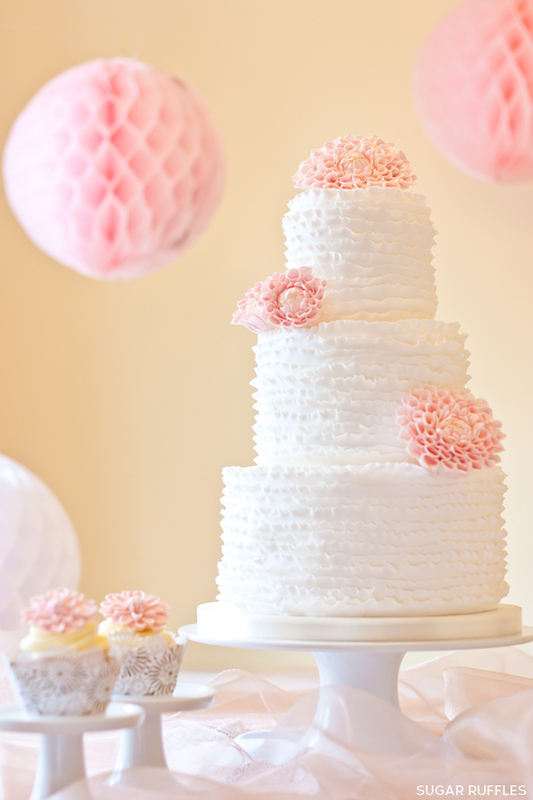 Inside the magazine you will find the full step by step guide I created for making this wedding cake and cupcakes. 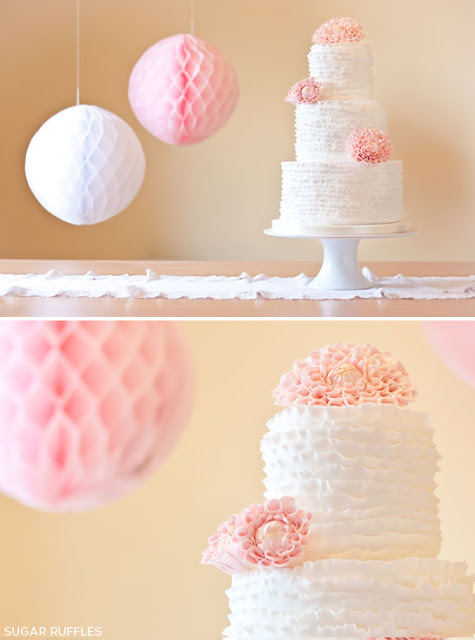 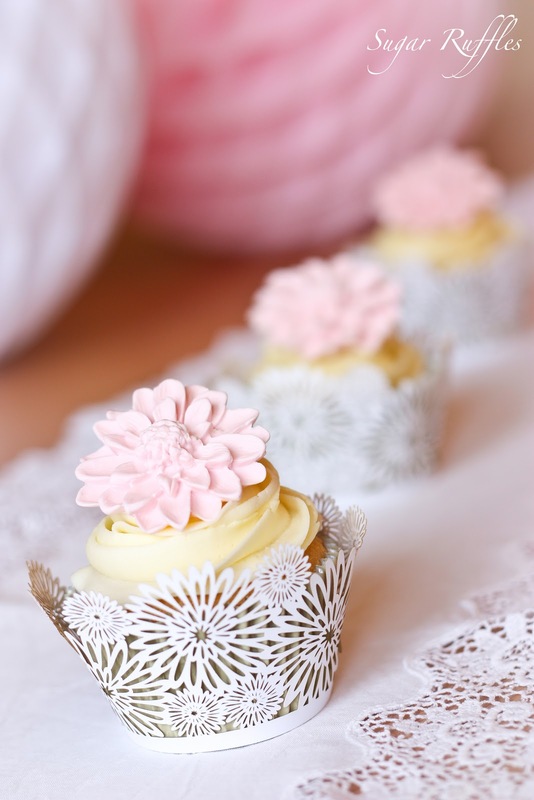 You can also find out more about the inspiration behind this design over on The Cake Blog.